Communion with the Spirit is not so much Him speaking new words to us, but giving us a greater awareness of the "old" ones. In the opening verses of 1 John, the Apostle John says that one of the signs that you really know God is you have fellowship — koinonia — with him through the Spirit. God begins to come alive to you. In a very real and tangible way, he speaks to you. Now, I’m not talking about somenew word from God. 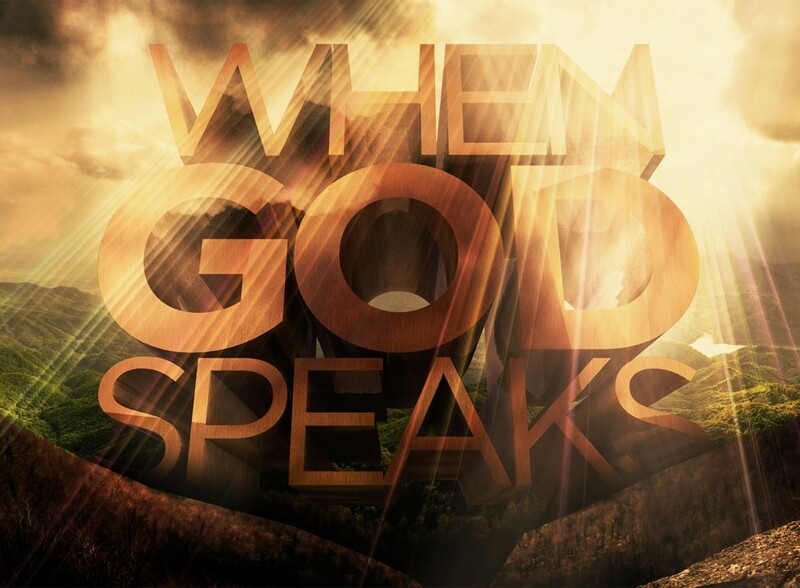 I cannot stress this enough: God will never speak to you in a way that contradicts his Word. No, koinonia — the experience of God’s presence — does not happen when God delivers a new word, but when the Word of Life is “made manifest” to us (1 John 1:2). Manifestation means magnification, coming alive. A genuine experience with God is the magnification of the word of the gospel in your heart. When this happens to you, you begin to feel the word of life. The cross becomes larger. Your sin becomes more real. God’s grace becomes sweeter. The “old” words of life press in on your heart and they become new to you. It’s like those magic eye pictures (remember them?). You can stare at the morass of dots for hours, and it just looks like random pixels. But if you cross your eyes just right, you suddenly see the 3-D image. That’s how it is when you experience God: You aren’t given new information to understand, but new eyes to see. This manifestation happens first at conversion. I love how John Wesley talks about his conversion. He was attending church one evening, against his will, when the truth of grace came alive to him: “I felt my heart strangely warmed,” he wrote, “and saw that Christ had taken away my sins, even mine, and saved me from the law of sin and death.” What Wesley already knew about Jesus became 3-D to him. But this manifestation does not just happen at conversion. It happens again and again for the rest of your life. As a Christian, there are times when God’s love just presses in on you. You feel, as Paul says in Ephesians 3, the height and width and depth of God’s love. The sense of God’s love for you storms your heart and overwhelms you. Koinonia is the point of Christianity.